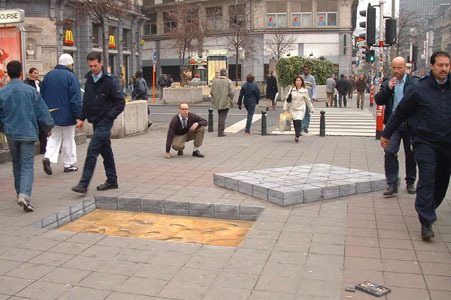 real या not.... Julian Beever and Kurt Wenner are the artists. Wallpaper and background images in the अकल्पनीय club tagged: cool optical illusion image. It's meant to look 3d.